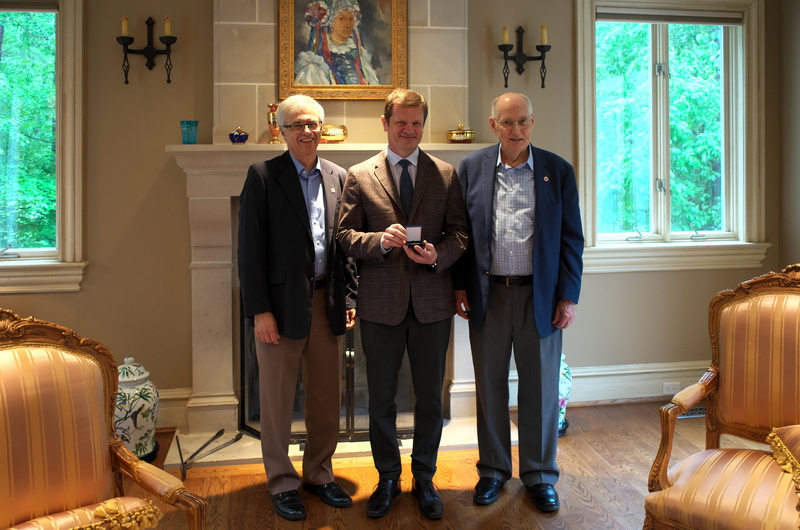 Slovak Ambassador to Washington Peter Kmec was honored at a Friends of Slovakia farewell reception hosted on May 19 by FOS Treasurer Dr. Eva Jenkins and her husband Robert in their lovely home in Great Falls. 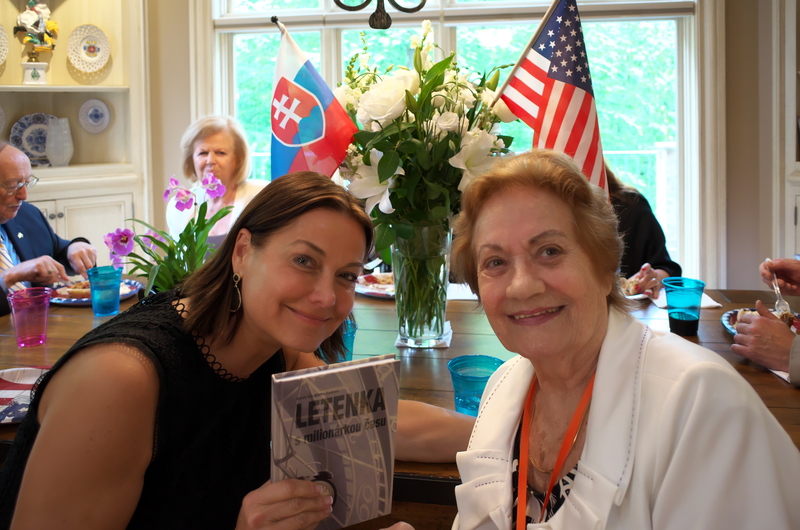 40 guests including FOS and Slovak American Society of Washington members feasted on American BBQ fare with a “touch of Slovakia”. FOS Vice Chairman Ken Bombara presented an elegant tray with an American flag motif to Ambassador Kmec and wished him and his lovely spouse Monika, away in Europe on that date, Godspeed and great future success. FOS Founding Chairman Ambassador Ted Russell (Ret.) then presented Ambassador Kmec with the FOS Medal of Honor for his distinguished service in building ties of Slovak-American cooperation and friendship. Ambassador Kmec responded with a summary of some of his objectives in Washington extending back to his time as Slovak Deputy Chief of Mission when he was instrumental in gaining US Senate support for Slovakia’s 2004 NATO membership bid and moving forward to his successful efforts as Ambassador to increase commercial, political and military security ties between Slovakia and the USA, including extensive travels around our country. This entry was posted in Events and tagged FOS, Peter Kmec, slovakia by Richard Marko. Bookmark the permalink.